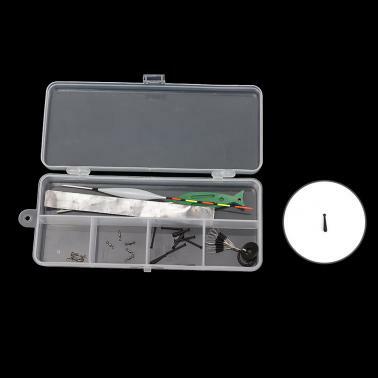 This fishing tackle set is lightweight and compact, easy to carry. 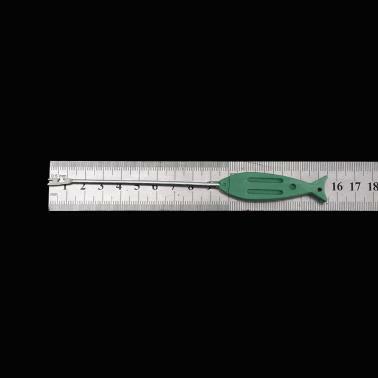 A perfect fishing tool for anglers. Lightweight and compact size, easy to carry. Portable and convenient, five compartments in the box to store your tackles. 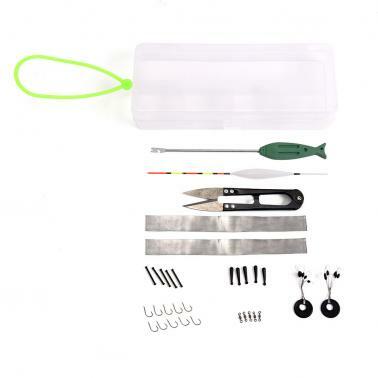 Different fishing tackles are included in the box, such as a pair of scissors, fishing hooks, hook releaser, float, lead sheet roll, float seats, lead sheet seats, swivels and space beans. 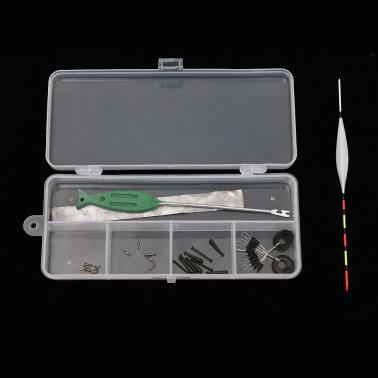 A great fishing accessory kit for fishing lovers.